I love to craft. I love my friends. 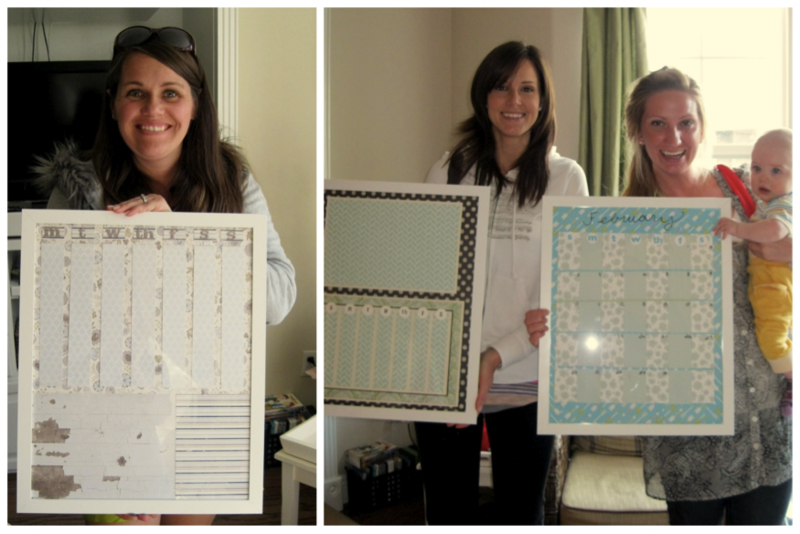 So what better way to enjoy both, than to host a craft day for my friends? 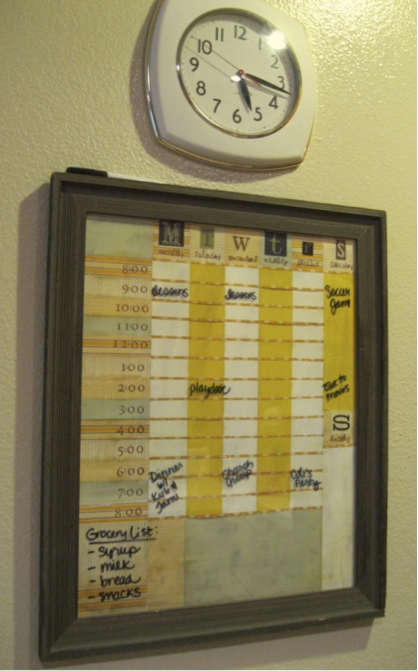 A couple years ago I came up with this wipe-off calendar board project (above) to try and help our family better organize our day. I came up with a format that I thought would work well and then measured and cut paper to design a layout. 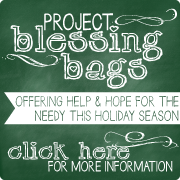 I have it hanging up in our kitchen…and it actually works well when I remember to fill it out! I have had several friends request that I teach them how to make a board for themselves. I finally I got around to doing just that and invited some friends over for a craft day. I went to my local Ikea beforehand and purchased 15 ¾ x 19 ¾ inch frames for everyone attending (they are 6 bucks each). 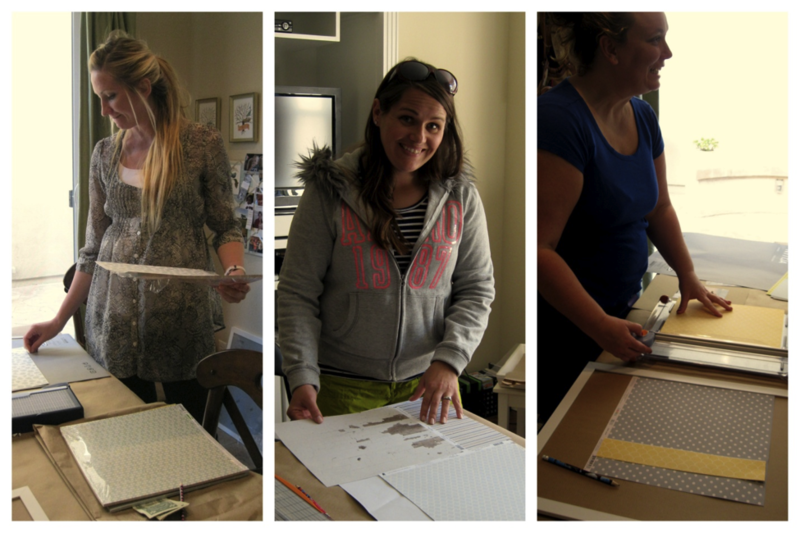 I then asked my guests to bring at least 5 sheets of 12 x 12 paper to use for their frames. Everyone has different taste and styles, so this allowed them to customize their board. 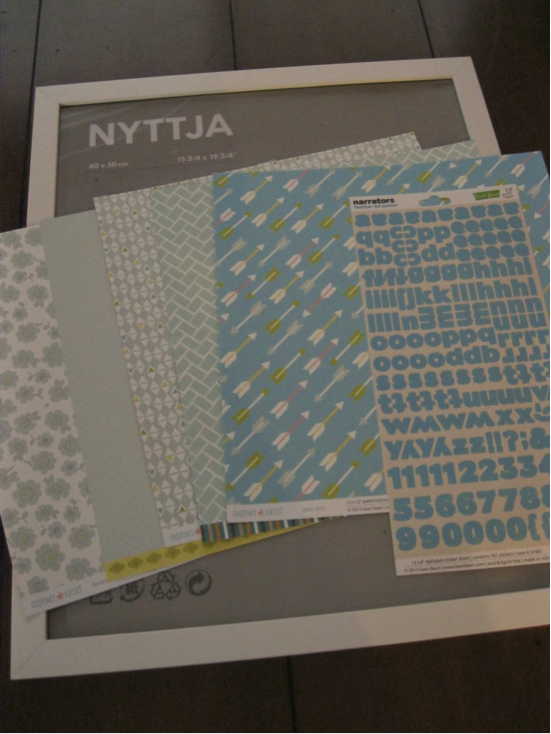 My dear friend Kelly also sent over some amazing papers from her company Lawn Fawn (lawnfawn.com) for us to use (Thank you, Kelly!). Each guest brought their own adhesive and cutting tools (and I had extras on hand in case they forgot…which they may have done). I had my board out for my friends to reference while doing the project. Some used my same format, but others came up with different ideas. It was so fun helping each other decide on which patterns to use and to see what everyone came up with. Each board was unique and they all turned out amazingly! I love crafting with friends. 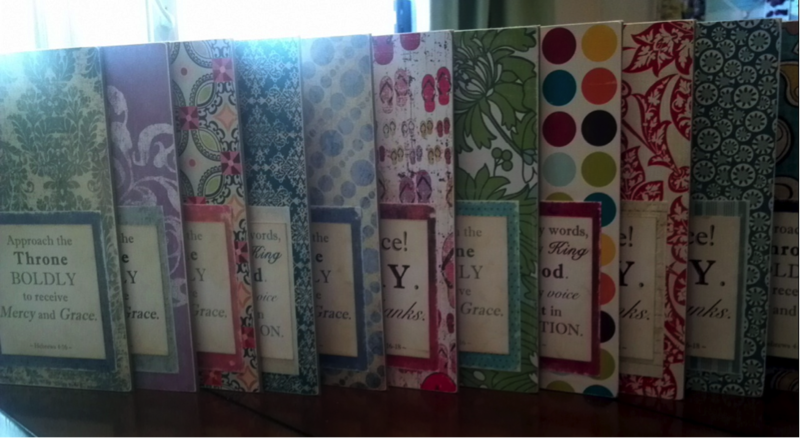 There is something about working on a creative project while surrounded by friends that is so comforting and inviting. Women share their hopes and dreams…and their struggles. It creates an atmosphere of trust and bonds women together. Kind of reminds me of a quilting bee! When I was new to California, my sweet friend Brianne hosted a craft night at her home and it was there that I met and made some of my dearest friends. I met Tami (fellow Throne of Grace employee) the first time that night, and she quickly became one of my closest friends. Even though we had just met, by the end of the evening we had shared some of our deepest struggles with each other…and I even got some scrapbooking done! Are you struggling to find friends who you can trust and open up to? Or maybe there is a new girl in town that you could encourage. 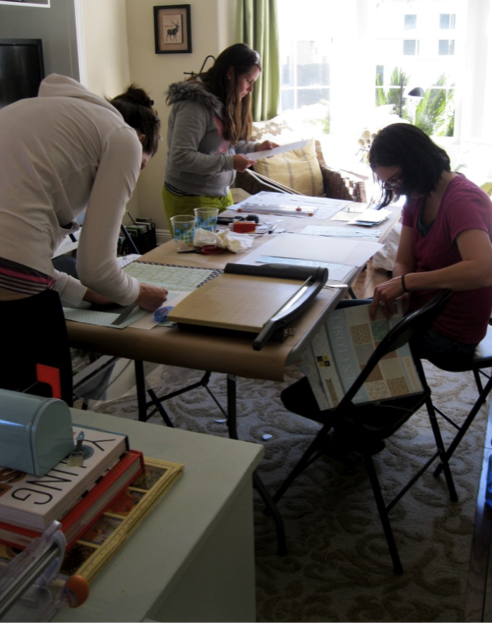 Have you considered hosting a group of women in your home to do a time of crafting…or cooking…or whatever you like? I would love to hear about it! Deb, I should have gotten a picture of you and that ADORABLE board your made for Danielle! That day was so fun 🙂 thankful for your hostess-with-the-mostest self! Love that we can glorify God in hobbies as he is the Creator, although he would definitely NOT mistake February for October OR let Silas fall over on the wood floor.